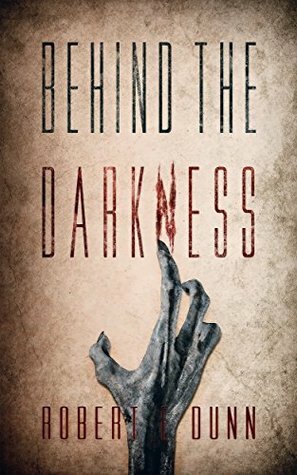 The first time I head about Robert E. Dunn’s Behind The Darkness was on Hunter Shea’s blog where he talked about the book and featured an interview with the author. Reading that interview and the ideas behind the novel, I was hooked and had to get my hands on this book. I have always been fascinated with the idea of aliens and UFOs. I can remember as far back as early elementary school shortly after graduating from your standard young reader books checking out every book I could on aliens and UFOs. Books about Roswell, the Hill abduction case you name it. I remember checking out all of these books and reading them, but for the life of me, I can’t remember where that fascination came from. Oddly enough, as intrigued as I was by all of these accounts and experiences and wanting to believe that they were somehow real, the idea also terrified me. For every harmless story about spotting strange lights in the sky or seeing aliens from afar, there are some truly horrifying accounts out there. Abductions where people are ripped from their home or cars and experimented on, cattle mutilations, etc. It doesn’t really matter whether you believe in these or not, any way you slice it – real life occurrence or fiction – there is something downright scary at the thought of being captured by otherworldly beings with no way to defend yourself. Well, it seems Dunn has found his way into my nightmares with Behind The Darkness. Readers are first introduced to Max Callahan, a man who is on a romantic hike with his wife Sheila. Things start of playful as they race each other to the summit with Max winning handily. However, what he sees at the top of that ridge takes a terrifying turn. At first, he is intrigued and calls for his wife to hurry and join him. As he continues to watch, he realizes something is terribly wrong and begs her to flee. Without a chance to save her, he is taken by the mysterious craft and subjected to horrific experiments and unthinkable violence by his captors. Then we are introduced to the Duncan’s. Ashley Duncan and her husband Tyler own their own farm and have a baby on the way. Although they are excited about having their own farm and growing their family, they sense something sinister surrounding their home. Tyler has been discovering the mutilated corpses of his cows in the fields and Ashley first experiences the aliens when they hypnotize and terrorize her. Ashley’s brother Vic and her longtime friend Leslie are coming for the weekend to help the Duncan’s on the farm and reconnect with each other. As everyone gathers at the house and Max is introduced to the group, the aliens converge on the Duncan ranch to reclaim their captive and attempt to take Tyler’s baby and wife. What follows is a violent battle for survival that will change everyone forever. The small town setting for this story may be a bit expected, but it works remarkably well in this case. It is your typical country town with the largest thing being a fast food chain and cell phone reception is spotty at best. This allows the aliens to make their presence known with little fear of discovery. Bill Tatum, who owns the feed store, is the only character who takes Tyler’s plight seriously and suspects the truth behind what is going on. Everyone else in town knows about the cattle mutilations that take place, but fear acknowledging what could really be happening due to how the news would portray them or how it would impact their property values. Even if the townspeople believed aliens were responsible, their seclusion from major city centers make it next to impossible to defend themselves. The only real weakness to this story would be the characterization at times. In the beginning of the book, the cast of characters seem fairly one dimensional. We are given enough information to be able to differentiate between them, but there is little that makes the reader forge a connection to them. However, Dunn fixes that in the later portion of the book. As the characters are surrounded by pure evil ripped straight from their nightmares, that is when we begin to see who they truly are and they become more well developed. The biggest transformation would have to be Tyler. I don’t want to spoil what happens to him or what he does, but he undergoes a dramatic change from the character we are first introduced to. Even as Tyler begins to develop a darker side, you still root for him to come out on top as he takes a stand to protect his friends and family against impossible odds. As a fan of alien accounts and non-fiction books, this is the sort of alien/UFO novel I have been waiting for. I have read a ton of books on the topic from both horror and science fiction and most of them just seem to be missing something. While I appreciate the attempt at creating an original alien race and trying to create something fresh, I have always wanted to see a straightforward, terrifying alien horror novel that draws heavily on the Greys. Dunn draws from this traditional portrayal heavily, but sprinkles in enough originality to make them seem frightening and far from just a rip-off. They utilize some of the same psychological tactics to confuse and disable their victims but they are also physical and capable of extreme violence. They also have the ability to camouflage themselves with their surroundings. The novel is packed with action and once the group huddled in Duncan ranch begin to face off against the creatures, I could hardly set the novel down. This one is packed with action and is downright scary and should definitely be added to the collection of anyone with an interest in aliens or UFOs. I live in a pretty rural area and after reading this book, I have to admit I was pretty creeped out when I had to step outside during the middle of the night. Highly recommended!